In another good day for borrowers, average mortgage rates fell again yesterday. It wasn’t quite as big a tumble as on Wednesday. But it was close. And you have to go back to Mar. 1 for an example of them daring to rise. It’s common for markets to bounce back up from this situation. And you can expect that sometime soonish. But, at least so far this morning, there’s little sign it will be today. Indeed, the data below the rate table are indicative of mortgage rates falling again, perhaps even more sharply than on the last couple of days. It would probably take something huge to turn around such a strong downward trend. So you may want to float over the weekend even if you’re quite close to closing. This morning’s markets strongly suggest lower mortgage rates. Of course, it’s possible the Federal Reserve’s Wednesday statement has established a long-term downward trend. But you can still expect to see rises and falls within that as other risk factors emerge and recede. And, depending on how near you are to your closing date, you may not have time to ride out any increases. This concerns Brexit, the manner in which Britain leaves the European Union (EU), if at all. The UK seems as far away from deciding what it wants from quitting as it was 1,002 days ago, when the leave/remain referendum was held. So far, Prime Minister May has been unable to reach a consensus with the 23 members of her own cabinet, all of whom were appointed by her from the ranks of her own party. Members of parliament are even more divided. Yesterday Mrs. May attended a summit of all heads of government of EU member states. They decided to grant her an extension on the original Mar. 29 deadline. She now has until Apr. 12 to get enabling legislation through parliament. If she fails, the EU may give her another one. But that would be much longer (up to two years) and may come with a requirement for a whole new deal to be negotiated, a general election or a second referendum. This is beginning to feel like a failing soap opera where the desperate writers come up with increasingly ludicrous cliffhangers every day. If British politicians eventually find a way forward, that would be good news for the global economy and might see mortgage rates rise. 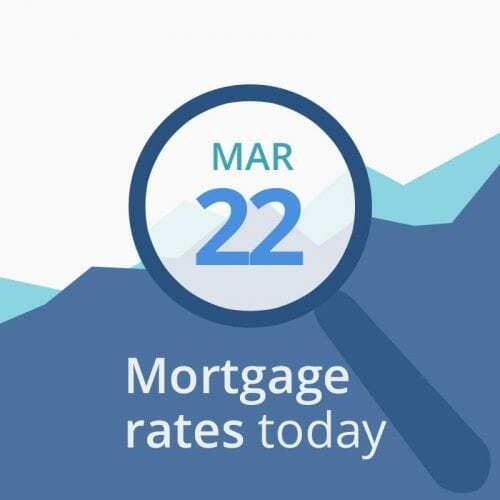 However, if the muddle continues or the country crashes out with no deal (still a possibility) in three weeks, mortgage rates could stay low or even dip further. Meanwhile, markets are increasingly focused on current U.S.-China trade talks. On Tuesday, President Trump told reporters those talks were “going very well.” Others see potential problems. Either way, it’s unlikely we’ll see a deal concluded within the next couple of weeks. The President’s original Mar. 1 deadline for an agreement passed nearly three weeks ago. But both sides badly need a good outcome, and for similar reasons: to burnish political prestige at home and to step back from economic slowdowns. Wednesday’s Fed announcements look likely to add some downward pressure on mortgage rates in coming months. That doesn’t mean there aren’t other risks (currently known and unknown) that could see them rise, possibly sharply. And we still see grounds for caution. But that Fed announcement saw us yesterday adjust our recommendation to suggest that you lock if you’re less than 15 days from closing. Of course, financially conservative borrowers might want to lock soon, whenever they’re due to close. On the other hand, risk takers might prefer to bide their time. This morning’s reports were published too close to our deadline for us to assess their impact on markets. However, the composite Markit purchasing managers’ index slumped to a six-month low, which should be good for mortgage rates. Existing home sales, on the other hand, rebounded strongly in February. However, it seems unlikely this good news will be enough to shake this morning’s strong downward trend.